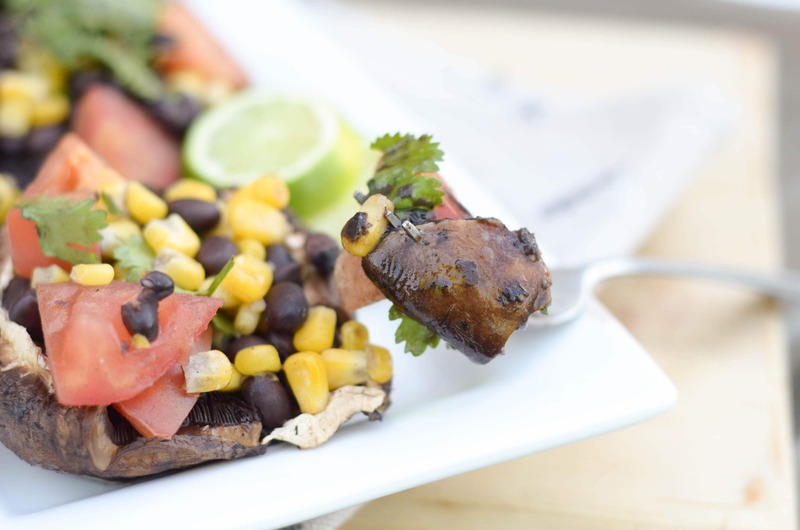 These Grilled Portobello Mushrooms are both beautiful and delicious! These Grilled Portobello Mushrooms may be my favorite recipe yet in our Garden Fresh Fridays Series! They were just so unbelievably good and fresh! 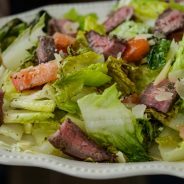 My husband and I made these recently on a night we decided to make a great at-home dinner for our date night. We paired these with grilled fish and grilled romaine salad. 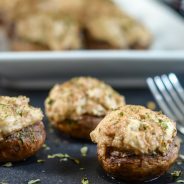 When I first made them, I thought I would use them as a side dish for our dinner, but they actually were the perfect appetizer. 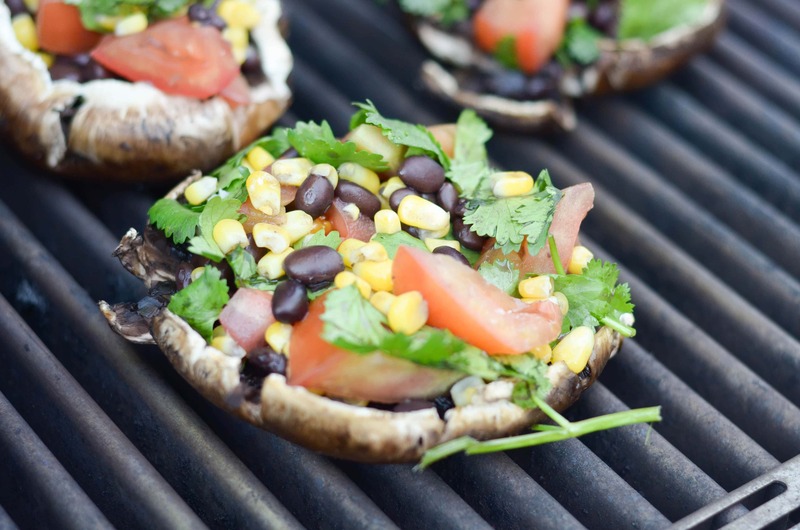 These only take a few minutes on the grill, so if you are grilling, you can put these on first and then take them off and eat them while you are waiting on the rest of the food to finish cooking. 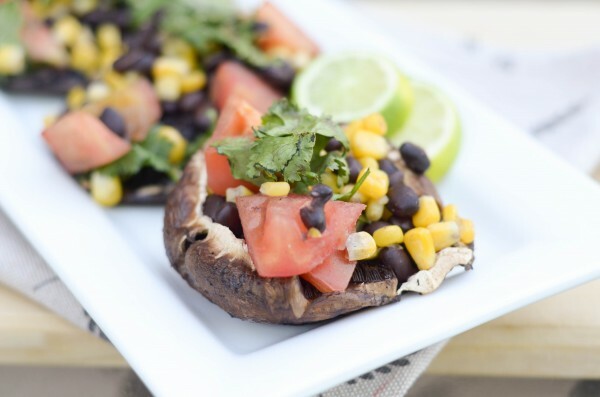 I simply coated the outside of the mushroom with a little bit of olive oil and garlic salt, then I stuffed the inside with corn salsa. Once it was stuffed, I placed them on the grill and let them grill for about 3-5 minutes until nice and soft. These are a flavorful delight plus light and delicious. I suppose you could even serve them as the full meal especially for meatless dinner nights too. I love to enjoy these outside while the kids play, that’s my happy place just being outdoors and relaxing. I’m already anxious for the season to start. We are just about a week away from school being out, when everything just slows down for a bit! I’m so ready for that time of year. I am always energized and ready to go when school starts and by the end of the year, I just want to sleep. Ready for a bite? I know I am! 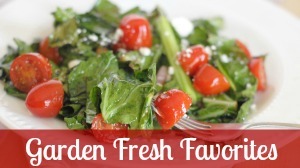 Are you looking for more Garden Fresh Recipes? Be sure to check out the archives! 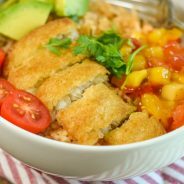 This recipe was originally posted in 2015; however, this post has been updated to share again! Begin by removing the stems and cleaning the mushrooms, set aside. Mix together the olive oil and the salt, then lightly brush it on to each mushroom, set aside so it can soak in. In a medium sized bowl, mix together the remaining ingredients for the corn salsa. 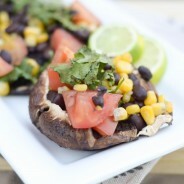 Once you are to the lime, slice it in half and squeeze the juice over the salsa. 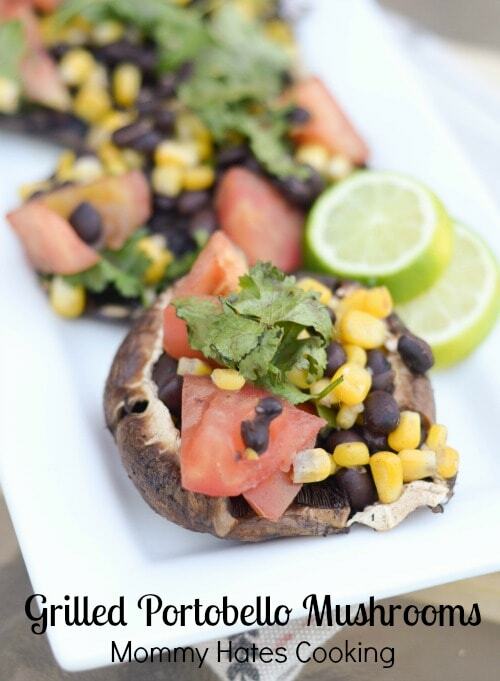 Stuff each mushroom with about 1/4 cup of corn salsa, then place them on the grill. Grill these on medium-high heat for 3-5 minutes. Remove carefully with the tongs and serve. Thanks!! That’s one of the things I love about them too! This looks amazing!!!! I can have a plate full. Superb! This looks so yummy. I love mushrooms. My mouth is watering thinking about a big one on my plate stuffed with delicious goodness. Thanks for sharing! Those look scrumptious. This would be a popular recipe at our house. Thanks for sharing at Merry Monday. I’m pinning this one! Veggies on Veggies on Veggies! I’m in heaven!